Published Dec. 6, 2017 at 4:01 p.m. The Giannis Antetokounmpo story is, by now, well-chronicled, and Bucks fans' ardent adoration of him quite well-established. And yet, like any good relationship, it's impossible to overstate our love for Giannis. This was a person who, four and a half years ago, was an anonymous, tall teenager with an unpronounceable name from Athens that got on a plane and was literally dropped in Milwaukee onto a terrible team, and he just smiled and played ball and gleefully discovered America in front of us. And, through his amusing tweets, endearingly broken English and occasional flashes of brilliance, we couldn't help but immediately fall in love with him. Then, over the last four-plus seasons, we watched Antetokounmpo grow up – him impossibly fast; us incredulous and impressed – and steadily become the very best version of the basketball player we all hoped, but didn't quite let ourselves believe, that he could be. Those first three seasons, before he really, truly, monstrously broke out, no one was paying much attention. Loving Giannis felt like this cool, underground, basketball-hipster thing only we knew and cared about, which made it fun and special and also sort of surreal. And now that Giannis the Phenomenon (the Phenomenonis?) 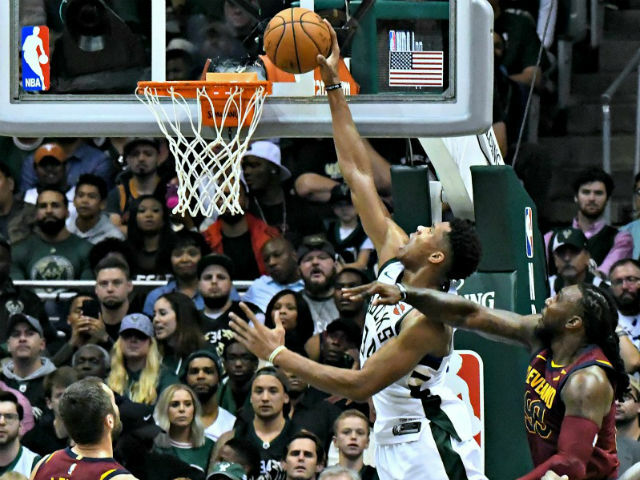 is fully out – with the nightly ESPN highlights, the ubiquitous articles and Twitter adulation, the glowing praise from opposing NBA players and coaches – now that everyone is all-in on the Giannis, it's even more fun. The league could soon belong to the Greek Freak. Antetokounmpo was born on Dec. 6, 1994, so he turned 23 today. 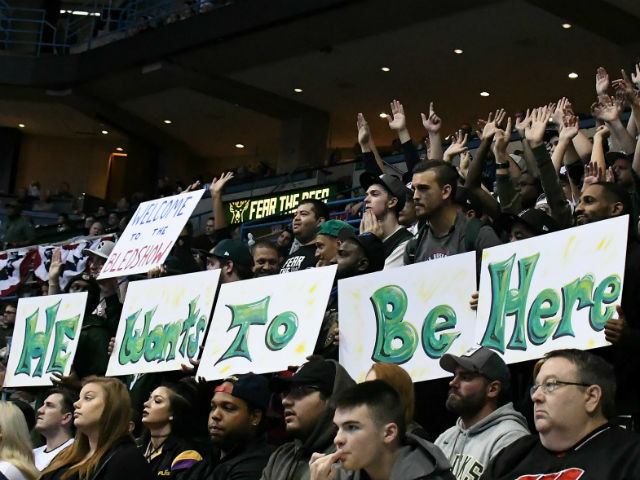 The Bucks announced a ticket deal to commemorate his birthday, and local designer Too Much Metal also came up with a way to honor him for tonight's game against the Pistons. Well, we wanted to celebrate him too. Yes, numbers are boring, but they're a place to start, and what a place. Antetokounmpo is averaging 29.9 points, 10.2 rebounds, 4.5 assists, 1.7 blocks and 1.7 steals per game, a triple-double-take-inducing line. He leads the NBA in player efficiency rating (PER) at 31.5, is second in scoring and one of only three players posting 25 and 10 a night. He's also No. 1 in minutes played (37.1) and tied for first in free throw attempts (201). He brutalizes box scores and pervades league-leader lists, and we couldn't be happier to see that long, vowel-y, wonderful name all over the damn place. His first four years in the NBA, Antetokounmpo increased his points, rebounds, assists, blocks, steals, minutes and shooting percentage every single season. In 2016-17, he led the Bucks in all five major statistical categories and became the first player in league history to finish a regular season in the top 20 in total points, rebounds, assists, steals and blocks. This year, the numbers have all jumped again, except his assists and blocks (barely), as he's become more than just a playmaker, but now a go-to, first-option, alpha-dog attacking scorer. Sure, you can choose both. OnMilwaukee President Jeff Sherman picked this "slow-motion float" jam. The No. 15 overall pick in 2013, Antetokounmpo wasn't even among the top five players in his draft class by the end of his rookie season. But, last year, Giannis' trophy case got a lot more crowded. In 2017, he was voted an All-Star – the Bucks' first since Michael Redd in 2004 – and won the league's Most Improved Player award, as well as being named to both the All-NBA and All-Defensive Second Teams. This season, he's one of the favorites for Most Valuable Player. After taking a big leap into the star-osphere last season, Antetokounmpo is now inarguably one of the league's top five players. He's exciting and must-watch, but also extremely efficient and productive. On a long-suffering franchise in a small market that hasn't seen consistent success since the 1980s, Giannis is the Bucks' first true huge superstar since Kareem Abdul-Jabbar. Of all major team sports, basketball prizes individuals the most, and Milwaukee has one of the NBA's best. 6. "I will tell you what basketball is"
This Greek commercial from last summer will give you tremendous chills. 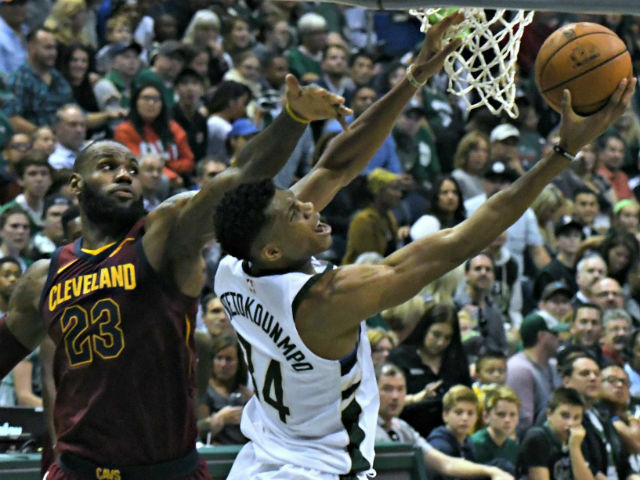 Nicknamed the Greek Freak early in his career for his rare but then still-raw physical gifts, Antetokounmpo has realized the fantastically freaky potential of his elite athletic ability. Giannis is 6-foot-11 with an Airbus wingspan, and he weighs 222 pounds, having added noticeable lean muscle to his suddenly sizable frame, such that he very much seems to enjoy banging with bigs down low now. Possessing extraordinary coordination (and underrated footwork) for his cartoonish length, Antetokounmpo can traverse the length of the court in three dribbles. He might have the best smile in the NBA, and it's impossible not to smile too when you watch him. Unless you're on the other team. 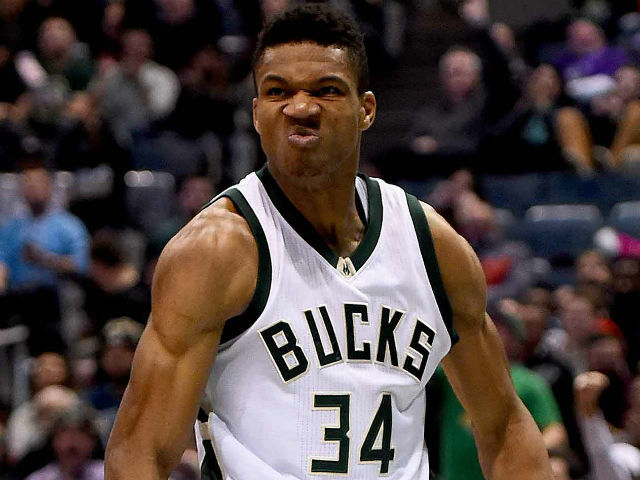 But what's even better than his smile is the famous Giannis stink face. Before last season, Antetokounmpo signed a four-year extension with the Bucks for $100 million, which was actually less than the maximum contract amount he could have received. The move was seen as a conscientious sacrifice by Antetokounmpo to help the young, up-and-coming team sign veteran players and gain some financial flexibility for the future. Given that he's turned into an MVP candidate, the contract, which just kicked in this season, can easily be considered a bargain. 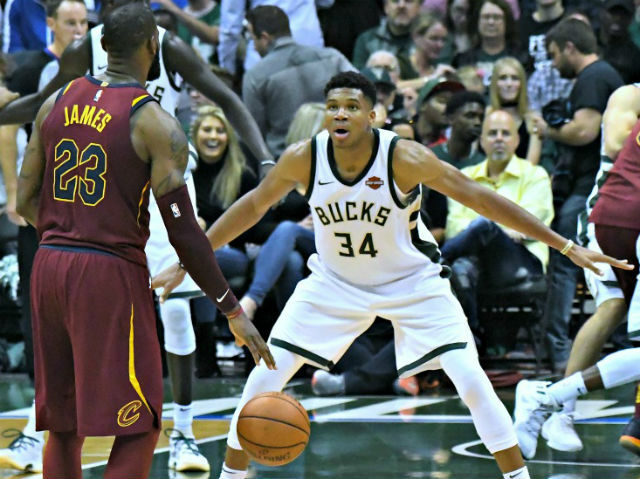 During the summer, with reports and rumors floating around the league that the clock had "started ticking" toward Antetokounmpo's unrestricted free agency in 2021 – especially in the wake of the organization's front office upheaval – some wondered about the Greek Freak's desire to stay in Milwaukee. Well, Giannis addressed the rumblings in just about the greatest way possible: quoting rapper Kendrick Lamar in a tweet with a deer emoji. Antetokounmpo has always seemed comfortable and happy in mid-sized Brew City, which is one of the many reasons he's beloved by the local fans here. In a breathless New York Times profile last month, Giannis made Milwaukeeans blush. "I'm a low-profile guy," he said. "I don't like all these flashy cities like L.A. or Miami. I don't know if I could be the same player if I played in those cities. … I can feel the love from the city every day I step on the floor. … There's a lot of things you can do in Milwaukee, too." And this! Who could forget our first introduction to a delightfully naïve 18-year-old Antetokounmpo? The son of Nigerian immigrants, Antetokounmpo was born in Athens and grew up poor, selling watches and bags on the streets, while playing basketball in his neighborhood of Sepolia. Read this excellent early piece from 2013 about his upbringing and journey to Milwaukee. Whether in his native country, his adopted home or around the basketball world, Antetokounmpo is a cherished, committed member of his community. 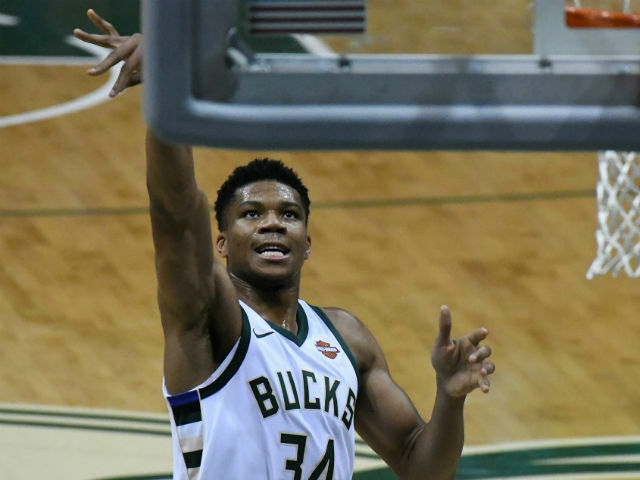 He's raised hundreds of thousands of dollars for the non-governmental organization SOS Children's Villages in Greece, partnered with the Bucks on numerous community projects in Milwaukee and traveled to Africa and the Philippines for NBA international development initiatives. 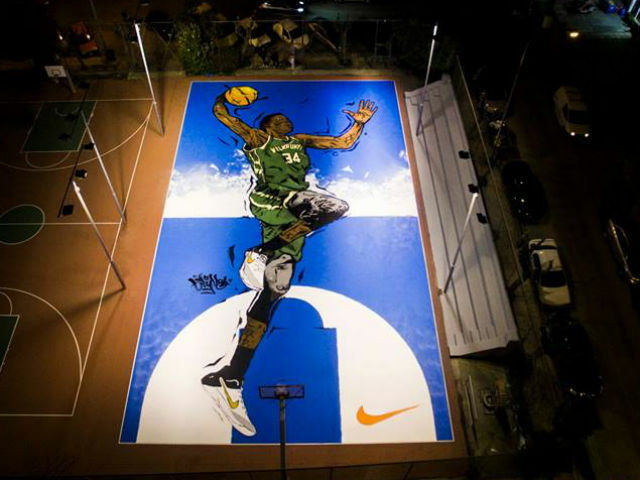 Obviously, the community here cares deeply about Antetokounmpo, and, earlier this year back home, Nike – with whom he now has a shoe deal – teamed with a Greek street artist to paint a mural of Giannis on the same court he grew up playing on. "So, have you guys seen the new movie 'Constipation?' No? It's because it hasn't come out yet!" Yes, while he's only 23, Antetokounmpo is wry beyond his years when it comes to dad jokes. Read about the comedic evolution of his annual media day jokes here. Last season, during a six-game, first-round matchup against the Raptors, Antetokounmpo gave Milwaukee a different kind of playoff push, averaging a series-high 24.8 points. As Milwaukeeans, we're proud of where we're from, and Giannis is proud of his homeland too. Last season, when a fan in New York City asked him to sign her Greek flag, he declined, saying he would not desecrate the flag with his signature. (He also did something pretty cool during that night's game against the Knicks.) He still goes back to Sepolia to play pickup games with the local kids in his old neighborhood. And earlier this season, he joined hundreds of serenading fans in Cleveland to sing the Greek national anthem before a contest against the Cavaliers. One of the most charming stories of Antetokounmpo came during his rookie season, when he took a cab to Western Union to send all the money home that he could, then found out he didn't have enough for a cab ride back on game day, so he started running to the arena, before eventually being recognized on the street and given a ride by an older couple. He later learned to drive himself. Not long after, Antetokounmpo's family moved to Milwaukee to live with him, with younger brothers Kostas and Alexis attending Dominican High School and starring in basketball. 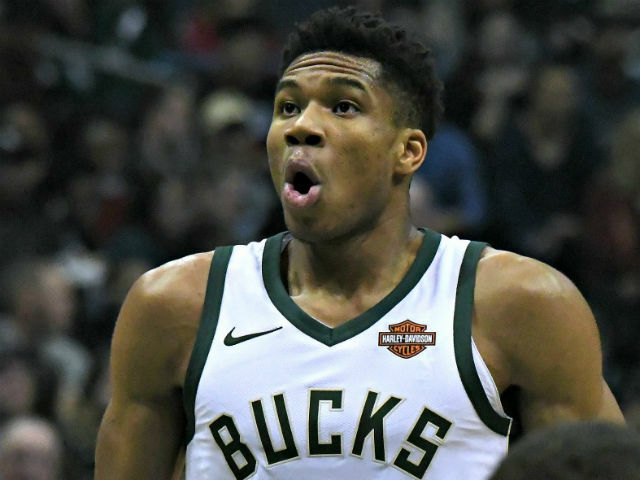 In September, Giannis' father Charles died of a heart attack, and after scoring a career-high 44 points against the Blazers a month later, Antetokounmpo said, "This is for daddy. We got a win tonight." Recently, much ado was made about Antetokounmpo shouting (swearing) at assistant coach Sean Sweeney on the bench. Rather than deny, dodge or downplay questions about the confrontation afterward, Giannis owned and explained it, sounding focused and mature. "You always fight with your brothers. Me and Sweeney, we're so tight. He always speaks the truth to me and I always speak the truth to him. We've done that in the past, but this time it was caught on national TV. But me and Sweeney, we're OK. We fight, we argue, but at the end of the day we both want to win." Last year, part of the fascination with Antetokounmpo's ascendance was his nebulous, do-everything, point-forward playmaking role. Dubbed by some as a "basketball unicorn," Giannis is an unconventional, position-less player who does things nobody's ever really seen before on the court. In the current era so obsessed with outside shooting, Antetokounmpo has essentially been able to circumvent the supposed need to make 3-pointers. He's futuristic, basically the basketball terminator. And if he ever learns to shoot 3s ... yikes. This city was on the developmental rise before Antetokounmpo arrived in 2013, but having one of the world's most popular basketball players here and helping him become one of the best in the game certainly puts Milwaukee on the map. There's a new $500 million arena and entertainment district being constructed Downtown, and the Bucks are a legitimate Eastern Conference contender with championship aspirations. Even if some of that could have happened without the Greek Freak, it's a whole lot more fun with him. Happy birthday, Giannis. We love you.